Plexidor Pet Doors: Does your pet door need an awning? 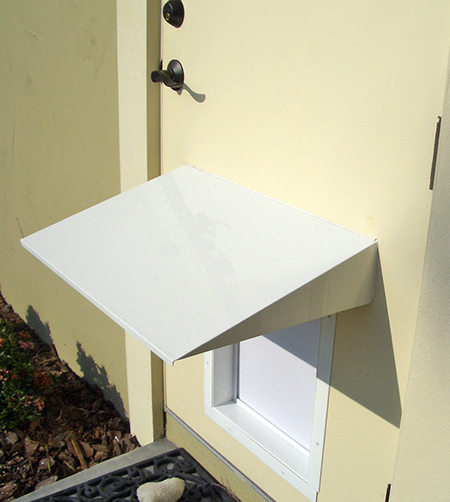 The PlexiDor awning is easy to install and creates a roof for your cat door or dog door, helping to keep weather where it belongs: outside. The small awning is 12" wide and 8" deep. The medium awning is 16" wide and 12" deep. The large/extra large awning is 23 1/4" wide and 16 5/8" deep. Do you have a pet door? What kind? Would you put up an awning?